In November I was asking for some baby quilts because we were not even at 10,000 inches for this year. Wow, did I ever get a response from this quilt guild. Last night 21 baby quilts were turned in with a total of 3,451 inches. We not only reached our goal, we surpassed. 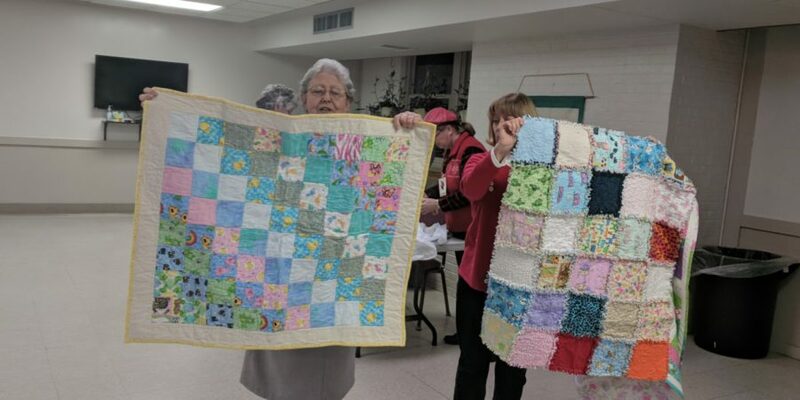 The total for the year is 81 quilts with 13, 122 inches. A special thanks to Pat Sparks, Viola Cotton, Sara Wright, Cheri Quick, Liz Rowden, Mary Becker, Brenda Morton and Carol Creighton. Thank you for the privilege of chairing the project. For more information and photos of Karen’s 10,000 Inches Project, click here.